Update, Jan. 4, 2018: Two members of Congress are pushing back against a proposal by the Justice Department to add a question on citizenship to the 2020 census. 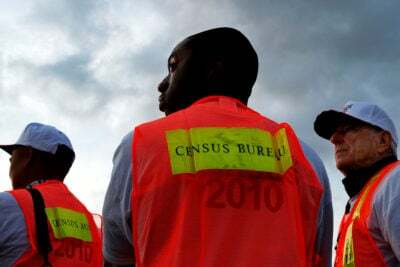 In a letter sent to Commerce Secretary Wilbur Ross, who has the authority to decide on census questions, Reps. Jose Serrano and Grace Meng, both New York Democrats, call on Ross to reject the proposal. “Adopting this question on citizenship and legal status will negatively affect response rates, jeopardize the accuracy of the collected surveys, and deter many people from participating,” the letter states. Both sit on the House Commerce, Justice and Science Appropriations Subcommittee, which has oversight of the census. Correction, Dec. 30, 2017: An earlier version of this story said that the census hasn’t included questions about citizenship since the early 19th century. In fact, the census last included one in 1950.